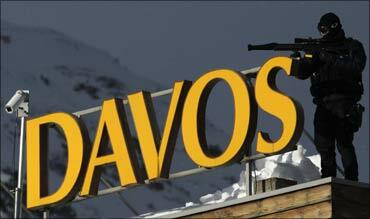 Rediff.com » Business » Homeless billionaire bets big on India! Homeless billionaire bets big on India! His net worth is over $3 billion, but Nicolas Berggruen has sold most of his 'material possessions' -- including a Florida mansion in a private island and a luxury condo in New York where he is based. He now stays in hotels and moves around in hired limousines, as he thinks "that's a much better use of your capital". The only real 'toy' that the 49-year-old son of a super rich art dealer owns is a jet that spirits him around the world. The jet has made several trips to India as well. Sitting in the Congress Centre, the venue of the World Economic Forum meeting, Berggruen says he has invested $200 million in various businesses in India, including hotels under the Keys brand, car rental, real estate and education. 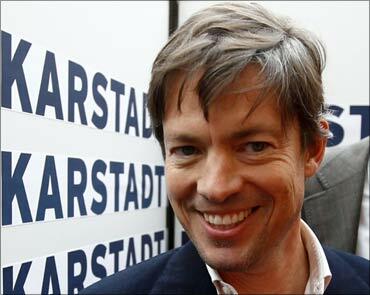 But Berggruen says he is tired of what billions can buy and has chosen to use his money in charities across the globe. So, everything that he has -- a few books, shirts, jackets and a few papers -- fit nicely in a small bag that he carries everywhere. It helps that he is a bachelor and "doesn't have children". But Berggruen clearly wants to invest more in the country he loves ("I have read Siddhartha, the novel written by Herman Hesse on the spiritual journey of a boy during the time of Gautam Buddha, many times"), as he is a keen listener to whoever has something worthwhile to share about India as an investment destination. So, you see him in almost all India-specific meetings at WEF, often exchanging notes with ministers like Kamal Nath who is a "close friend". His real estate investments in India include a high-end 2.6 acre commercial complex around 3.5 km from the Hitech City in Hyderabad. 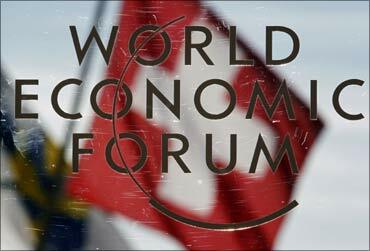 Image: The WEF meet at Davos. India's education sector fascinates the billionaire who had his education in a Swiss boarding school, explaining perhaps his decision to set up the company called UEI Global, which offers degree and vocational courses. At present, the company runs 17 academies across India and offers courses that can be split into traditional higher education and vocational training. UEI has academic alliances with three Indian and five international universities. 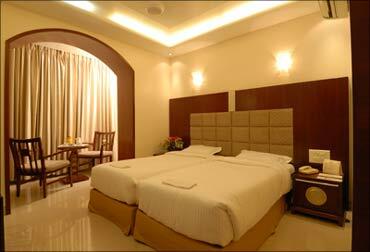 Keys, the budget hotel brand, has acquired 18 premium sites in strategic locations and plans to open around 2,000 rooms. 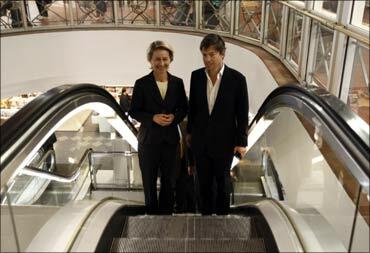 Image: Nicolas Berggruen (R) and German Labour Minister Ursula von der Leyen. erggruen says his company Berggruen Holdings takes a long-term, value-oriented, often contrarian view. He prefers to build organically and through acquisitions, partnering with management as opposed to quick, opportunistic visits. Depending on the opportunity and asset class, his investment vehicle is prepared to put in $100 million in any one transaction. 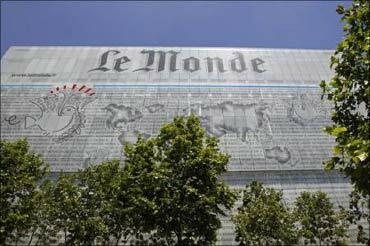 Globally, the Paris-born investor has built a fortune buying real estate and stakes in companies such as Karstadt, the German retailing group, and Prisa, the Spanish media conglomerate that publishes El Pais and owns Le Monde. Berggruen also created a $100 million-worth think-tank, Berggruen Institute, which promotes fresh debate about politics and constitutional reforms. And, his wide ranging interests have also prompted him to try to fix California's broken government with $20 million of his own money.